The 2015-16 Youth Corps Eco-Leadership Program Kicks Off with a Bang! 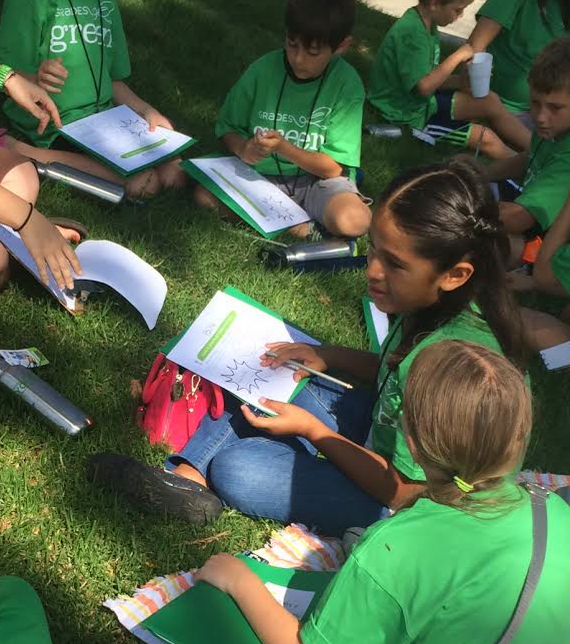 Grades of Green got to meet its 60+ students participating in this year's Youth Corps Eco-Leadership Program. A Telly Award for Grades of Green! 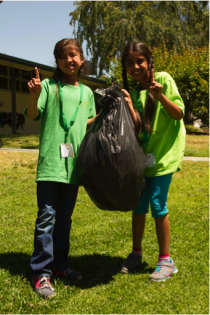 Grades of Green partnered with Curiosity Quest Goes Green during the 2014-15 school year to film and episode showcasing Grades of Green's Trash Free Lunch Challenge and the amazing things participating schools were accomplishing. 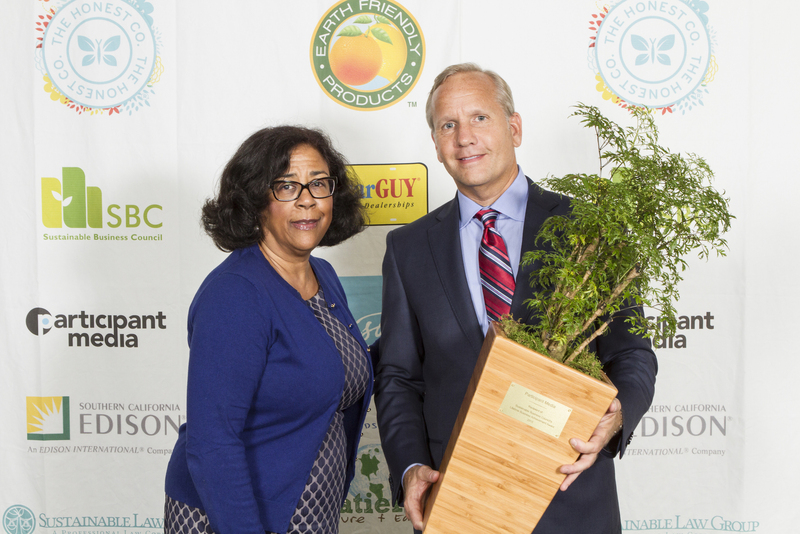 Grades of Green won the 2015 Innovation SoCal Environmental Excellence Development (SEED) Award from the South Bay Business Environmental Coalition (SBBEC). Chris Gebhardt, Chair of the Board for Grades of Green and EVP at Participant Media, accepted the Sustainable Business Council's Lifetime Business Achievement Award on behalf of Participant Media on Earth Day. The Green California Schools and Community Colleges Summit and Exposition comes to the Pasadena Convention Center on October 29-30, 2015. 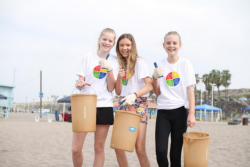 9/19, Coastal Cleanup Day: Help Long Beach Rise Above Plastics! 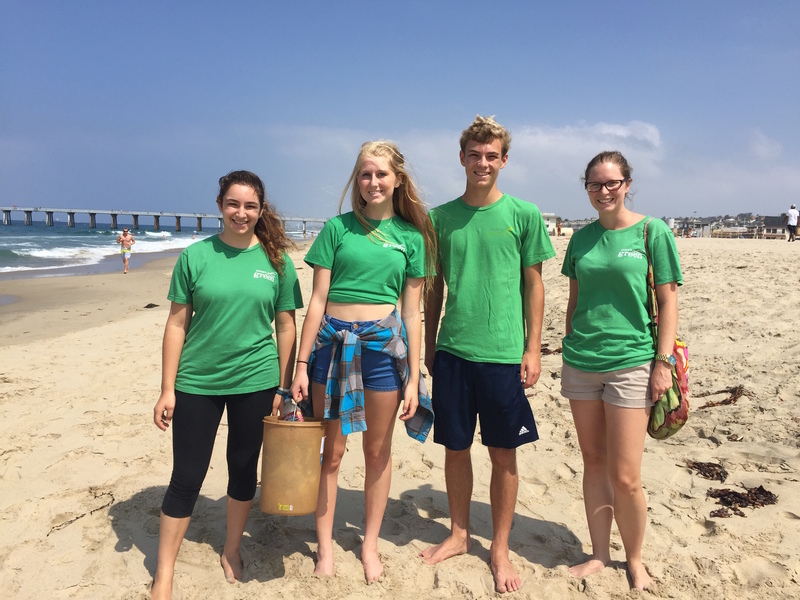 Grades of Green is partnering with Surfrider Long Beach this Coastal Cleanup Day! Grades of Green is currently accepting applications for its prestigious 2015-16 Youth Corps Eco-Leadership Program. 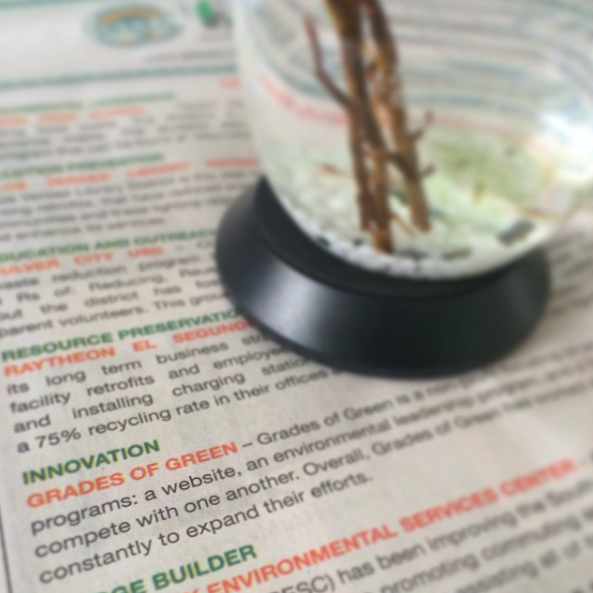 Grades of Green is on the lookout for Fall 2015 interns! Get Started Guide: Go Green As You Go Back To School! The new school year is approaching and there’s no better time to go green! Grades of Green is excited to announce our partnership with the National Charity League, Inc. Manhattan-Hermosa Chapter, a philanthropy group for 7th to 12th grade girls and their mothers. 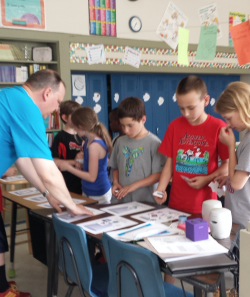 Grades of Green Support That ROCKS! Support comes in all ways, and sometimes that way ROCKS! 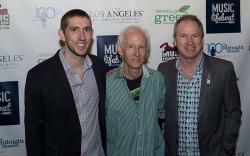 Music Lifeboat hosted its first-ever benefit on June 7th, with a portion of funds being donated to Grades of Green. Grades of Green is looking for a Trash Free Lunch Challenge Program Coordinator for the fifth annual Trash Free Lunch Challenge. 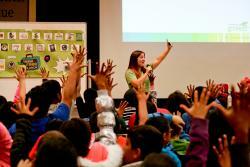 Grades of Green Reaches Milestone of 200,000 Students across 300 schools! Thank you to our growing Grades of Green community! Join the Project Giving Kids Instagram Summer 2015 Service Challenge! 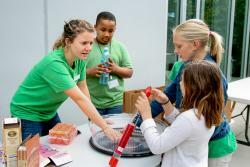 Grades of Green partner Project Giving Kids, a nonprofit that connects kids with volunteer opportunities, is hosting an Instagram contest for kids giving back to their communities their summer. 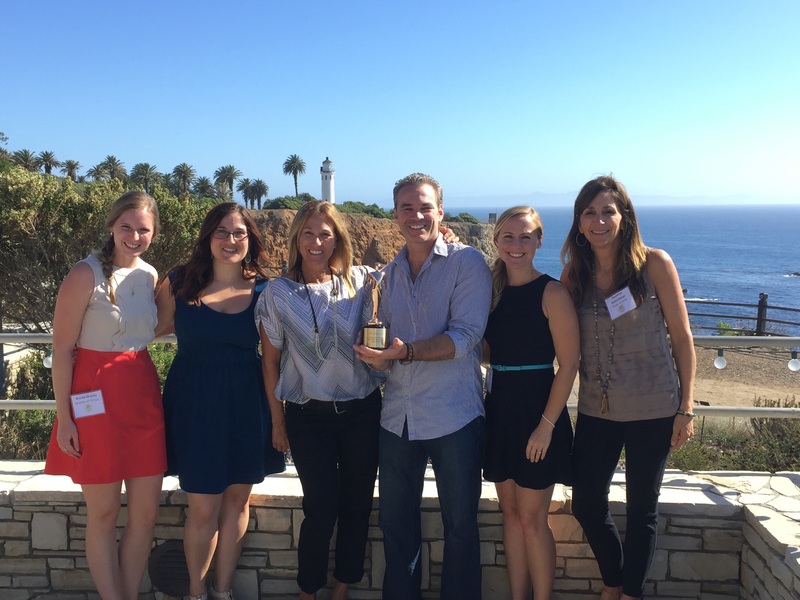 Past Trash Free Lunch Challenge Winners Divert Even More Waste 2 Years Later! 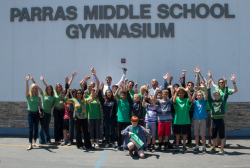 Not willing to rest on its laurels, former Grades of Green Trash Free Lunch Challenge school, Parras Middle School in Redondo Beach has been diverting even more waste since competing in the Challenge! Grades of Green is happy to report that RR Donnelley (RRD) employees have been volunteering in their communities to spread the word about environmental protection through Grades of Green Activities! 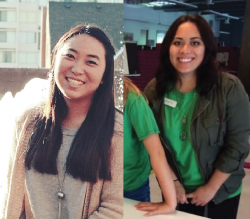 Grades of Green is thrilled to welcome our two summer interns, Caroline and Jenny! 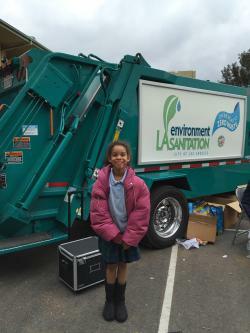 4th grade Youth Corps student, ​Kirsten​, hosted her third annual Earth Day Festival on Earth Day. 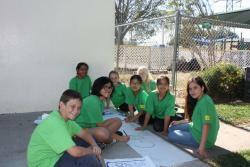 Keep America Beautiful is accepting applications for the National Youth Advisory Council 2015-2016.